Quick, what’s the difference between synclastic and anticlastic? You’ll find the answer to this question and more in Andrea Harvin-Kennington’s video Shell Forming for Jewelry Making. 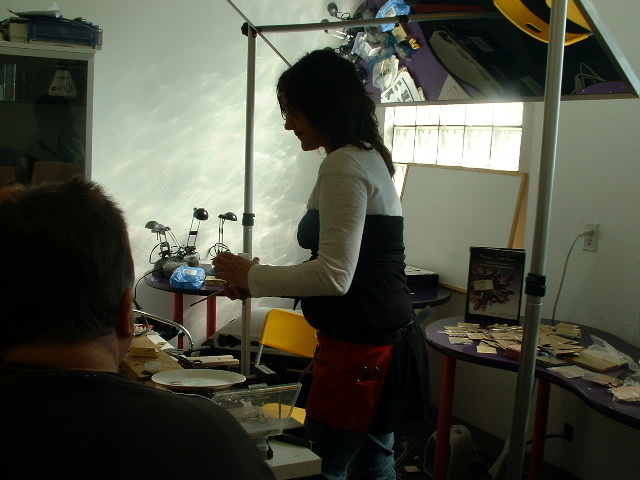 She possess an encyclopedic knowledge of metal forming techniques gleaned from years of education and studio time and is a fabulous teacher. I found myself absolutely mesmerized watching her demonstrate how to form metal using hammers and stakes, explaining every step in the process. She has also developed her own line of micro metal forming tools. I am definitely going to explore these techniques on my own when I have more time. Kennington also teaches occasionally. I have the feeling that a class with her would be well worth the time and money. I don’t ever see myself making my own mokume gane. That being said, I recommend that anyone interested in metal smithing take the time to watch Interweave’s mokume gane videos with the engaging and expert Chris Ploof. 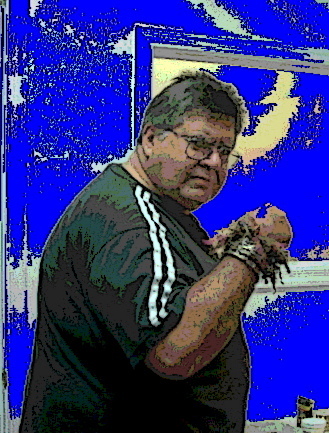 In addition to his informative commentary on the process, Ploof is bursting with helpful information on metal, tools, safety which he shares throughout the videos. The process of fabricating mokume gane is fascinating to watch and Ploof’s explanations are illuminating and entertaining. 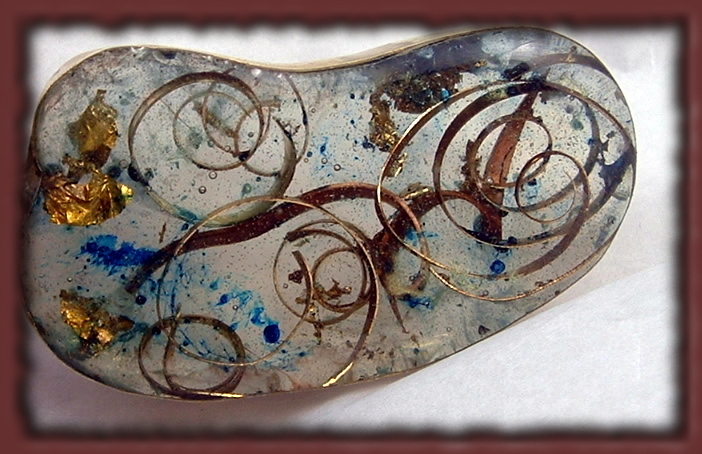 The Bracelet and Hollow Pendant videos do not delve into the mokume gane fabrication process but they are excellent jewelry making tutorials by themselves. 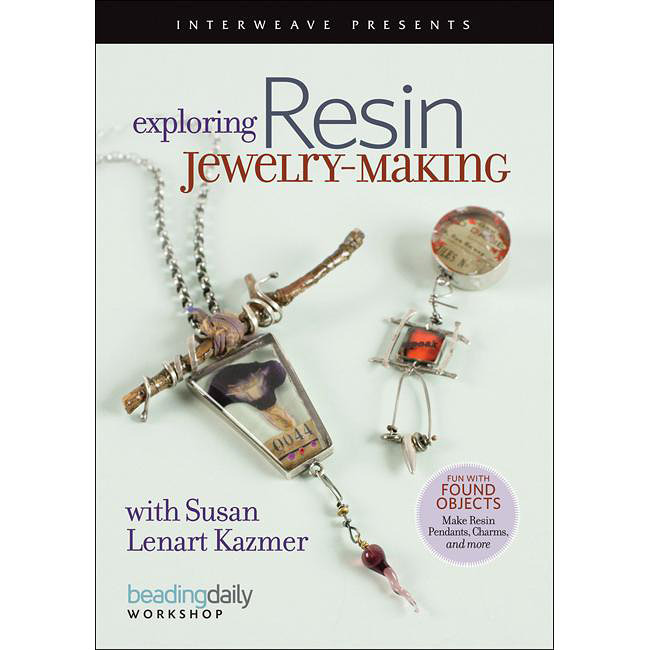 My last new favorites are Susan Lenart Kazmer’s enameling videos from Interweave, Explorations in Jewelry Enameling which covers torch and kiln enameling and Further Explorations which focuses on liquid enamels and kiln firing. OK, I admit it. I wanted to eat everything she makes. I love her primitive sense of style and her bold and dramatic use of color. I’ve been hooked ever since I took a course with her a few years ago. Kazmer has been accused in the past of being a bit loosey goosey about studio safety and I am not going to address that here except to say that she covers safety practices and ergonomics in both videos. 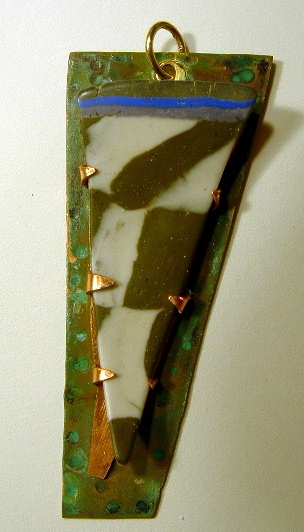 And she certainly has put her own spin on enameling with her distinctive sense of design. 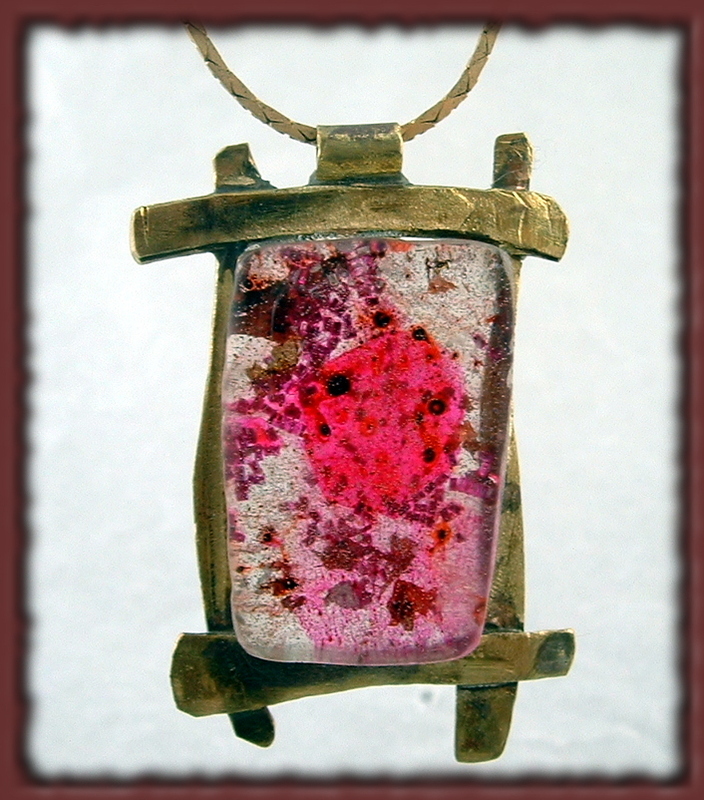 She gives thorough explanations of how she shapes the metal and prepares it for enameling. Her “on the fly” style of working might seem deceptively simple, but just watching her work made me want to experiment using her techniques. That’s one thing I love about her: she gives her students the tools to develop their individuality. And she makes it look like so much fun! 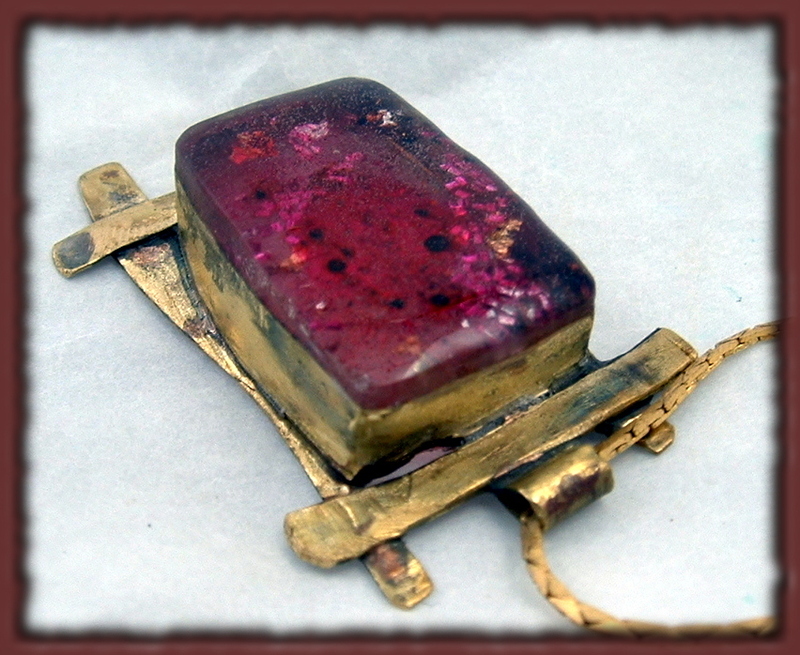 Kazmer covers the basics of torch and kiln enameling. 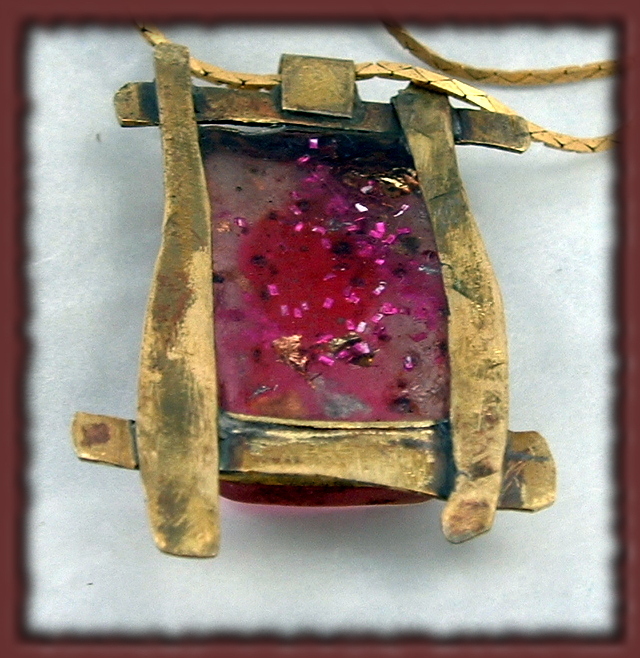 But even though she is a wonderfully clear and generous teacher, I do not recommend these videos for rank enameling beginners who want to learn the process, because there is a lot of information about tools and materials that Kazmer does not cover. 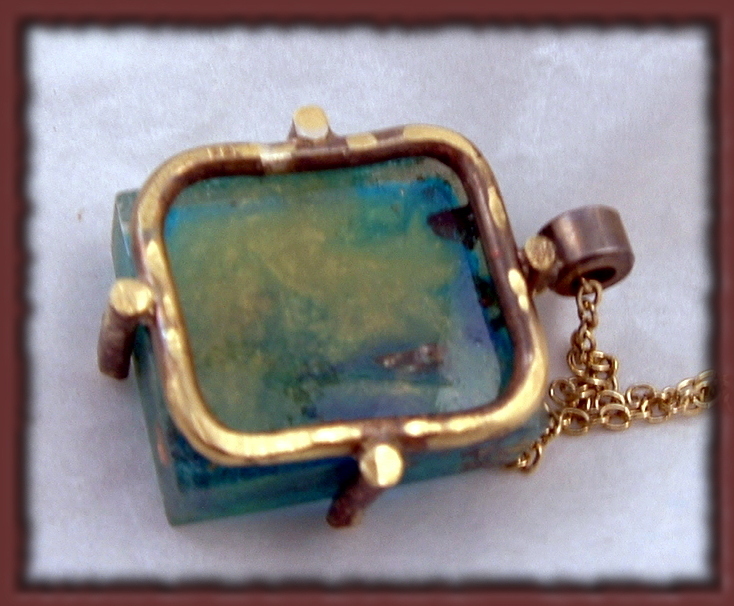 The videos are explorations into enameling techniques and geared toward those who have some knowledge of enameling and want to push their creative envelopes. Speaking of creativity and people whose work I admire, I was lucky enough to meet Nikia Angel, at Beadfest this weekend. She is one of my all-time favorite bead designers ever since I discovered Sparkly Wheels and, as it turned out, a lovely person with fascinating stories to tell. Nikia has patterns for some of her stunning designs on her Etsy page, here. 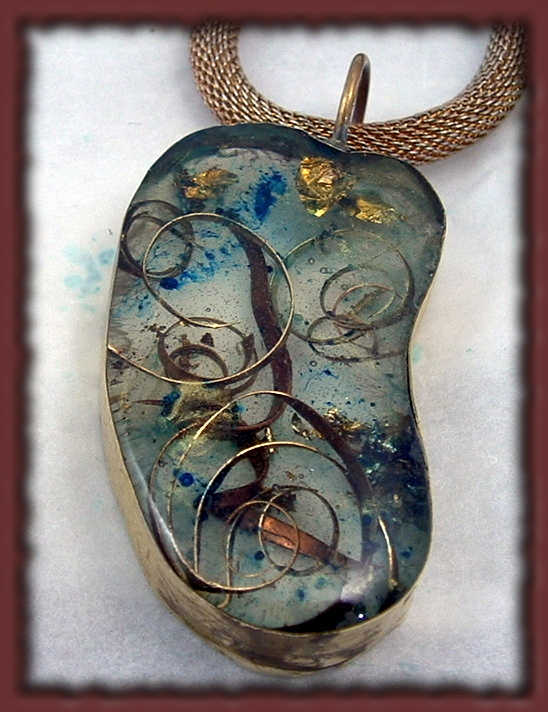 Ever since I took the classes with Susan Lenart Kazmer and Jane Wynn, I have been inspired to get back into metal work. 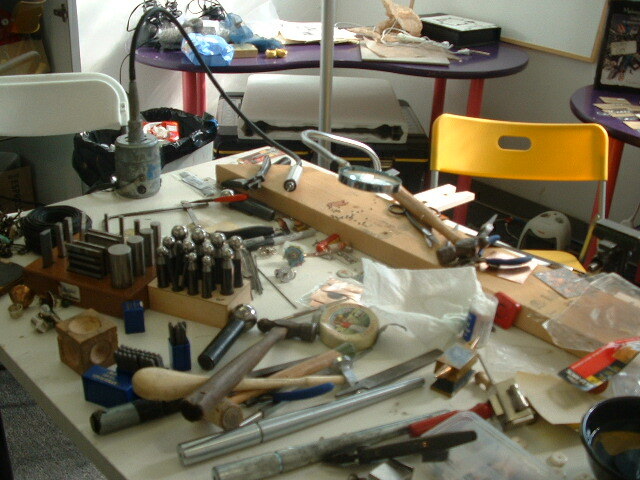 I was Jonsing for a Jeweler’s bench but my workspace is small and I didn’t want to spend a lot of money. So I took scrap lumber, made made a work surface, and bolted it to the top of an old desk. I even attached a pegboard and shelf. Finally, my bench pin is in the right position for sawing. Here is a picture of the new old bench and a piece in progress. 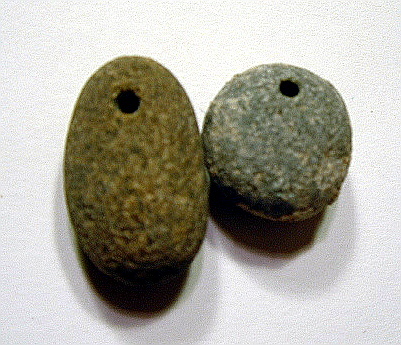 I learned how to drill a hole in a stone. I learned how to fabricate a cone out of metal. 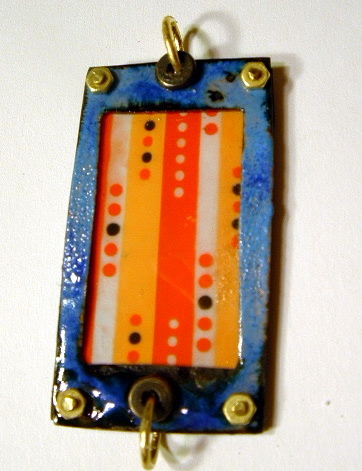 I improved my torch enameling skills. I learned how to make and use different kinds of rivets. I learned a cool way to put a red patina on copper. 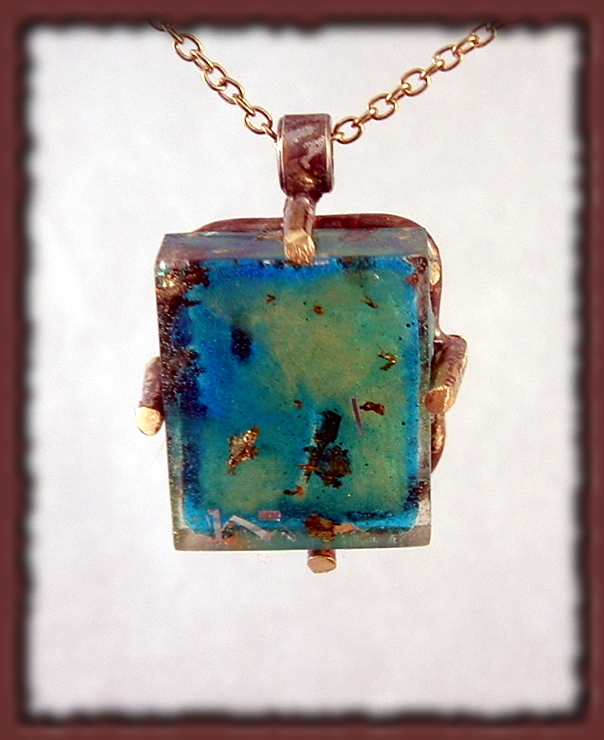 I learned how to preserve found items like paper and twigs with resin and incorporate them into my jewelry. I saw an ingenious way to make hinges that I’m going to try because now I am more confident in my sawing skills and I think I can do it! 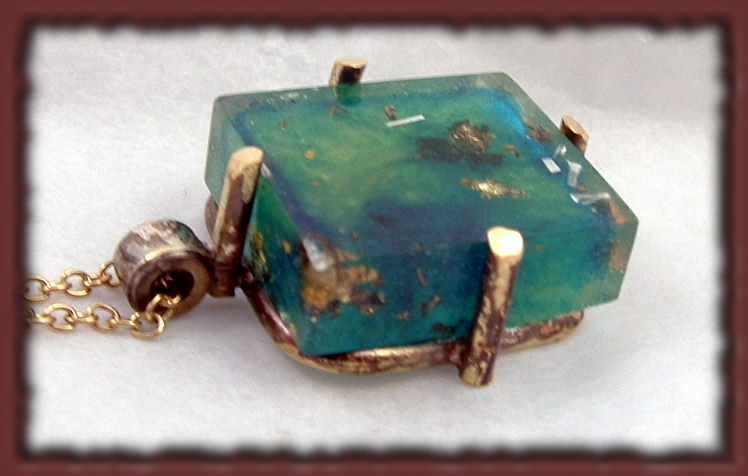 I saw how to make dapped forms to turn into cool rings and pendants. 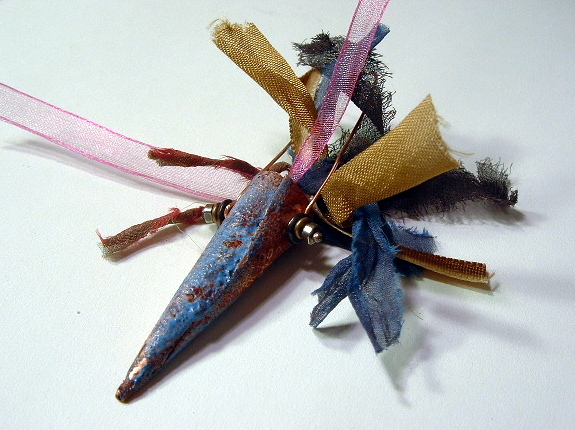 I learned new ways to incorporate fiber with beads and metal. Now every day the sidewalk holds more treasure than ever before. Thanks Susan for teaching this class and Terri for telling me about it and giving me a ride! 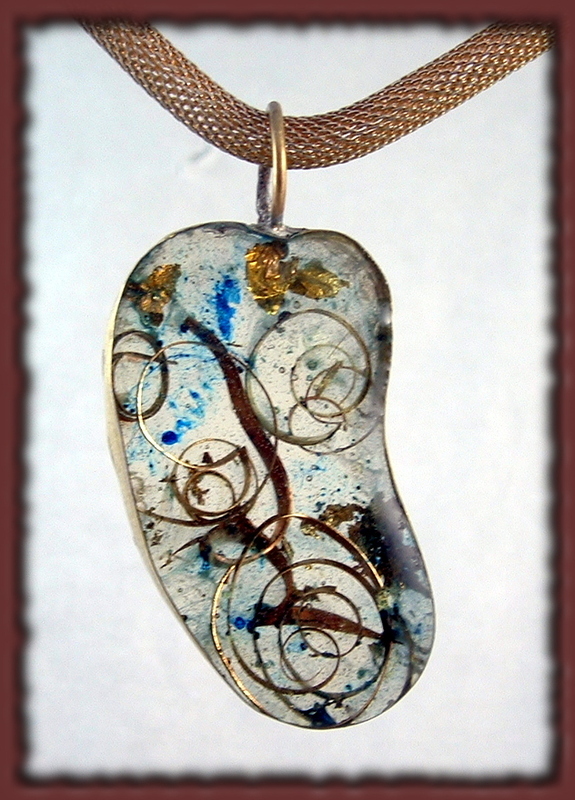 I’m off to Polymer Clay Express at The Artway Studio to take a class in Creating Objects and Elements in Jewelry with Susan Lenart Kazmer. If you’re not familiar with Kazmer, she wrote Making Connections A Handbook of Cold Joins for Jewelers and Mixed-Media Artists. I’ll let you know about the class in a later post. 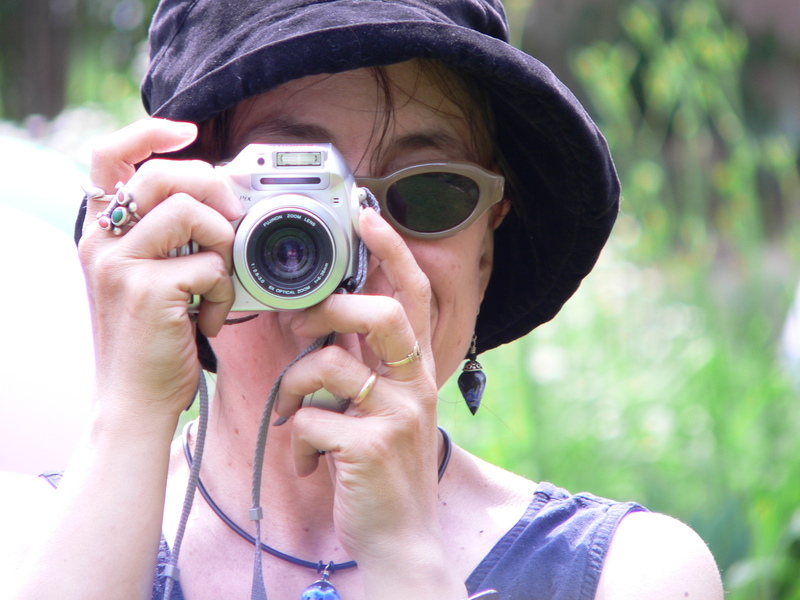 In the meantime, check out Kazmer’s Blog and her on-line store, Objects and Elements where you can buy her remarkable book, supplies, and watch her great instructional videos.